Flipping real estate can be highly lucrative… if you do it right. However, if you don’t do it right then it could end costing you a lot of money, time, and frustration. We’ve got you covered! We’re sharing 4 mistakes investors make when house flipping in Fairfield County so you can avoid these blunders and improve the return on your investment. If there’s one thing that every flipper learns pretty quickly it’s that you can never prepare for everything 100%. Brand new flippers often forget to “expect the unexpected.” For example, you can look at a property, assume it looks great, and then discover that there are termites. Or you might tear up a carpet and find mold. While troublesome, these problems aren’t the end of the world but for investors who aren’t prepared for them, they can be a costly shock. So avoid this mistake by anticipating additional problems into your project plan, timeline, and budget. Another mistake flippers make is to hire the cheapest labor possible. Rather than hire qualified professionals, flippers try to pad their profits by hiring any warm body. The problem is: cheap labor can actually be more expensive because they take longer and their work is not always up to the right standards (so it may need to be redone). Avoid this problem by hiring experienced tradespeople. You may spend more up-front but the work will be done right — quickly and the first time. This is the problem that flippers are simply not even aware that it happens, but it does happen! 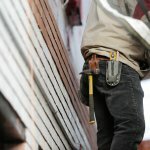 It’s easy to become emotionally involved in the flip to the point where you forget that you are investing in a property for someone… and often what happens is, the flipper starts making renovation and decoration choices that THEY prefer (versus decisions that are cost-effective and will help to sell the properly quickly). To avoid this mistake, set a firm renovation and decoration budget and continually remind yourself that your goal is to create a house that can be sold at maximum profit. Newbie flippers acquire a house and do all the heavy lifting to fix up the property, and then they make the mistake of assuming that the sale of the property will be easy. In some markets it might be easy but in other markets that’s not the case! Avoid underestimating the effort required to sell and instead, prepare yourself for investing some additional effort in finding buyers. Flipping houses can be fun and profitable… or it can be frustrating and problematic. But you can make sure it’s fun and profitable by avoiding these 4 mistakes investors make when house flipping in Fairfield County. If you’re ready to get started with flipping and you want to check out what properties we have that might be perfect flips for you, click here now to enter your information or give us a call at (203) 665-8679.